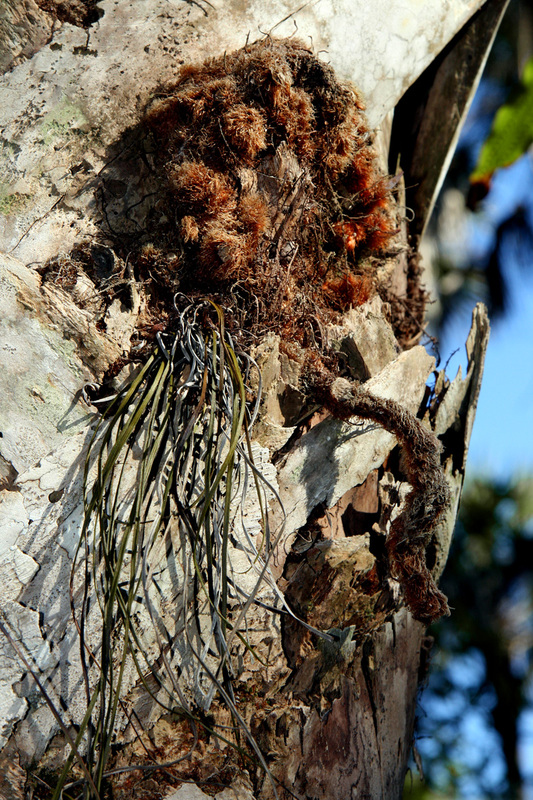 Cabbage palm fern (Phelbodium aureum) usually is found growing epiphytically on cabbage palms (Sabal palmetto), as pictured above at the Oslo Riverfront Conservation Area. 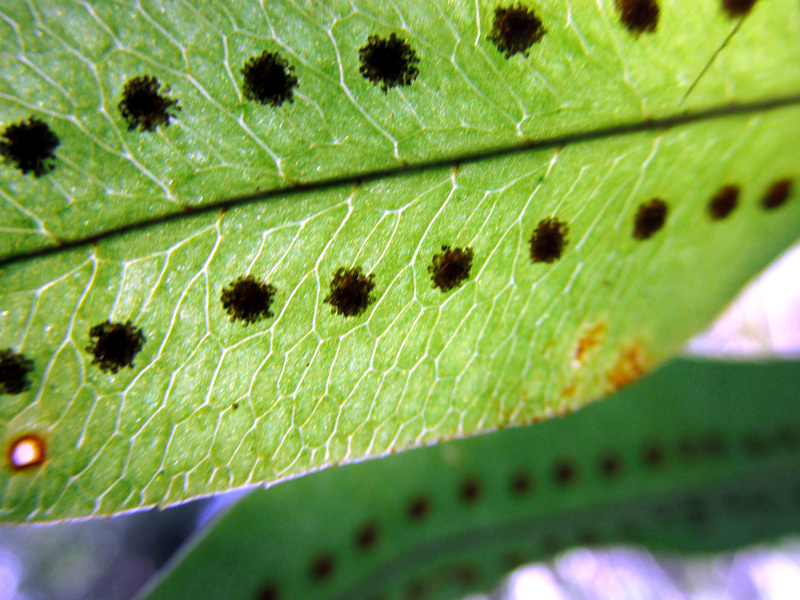 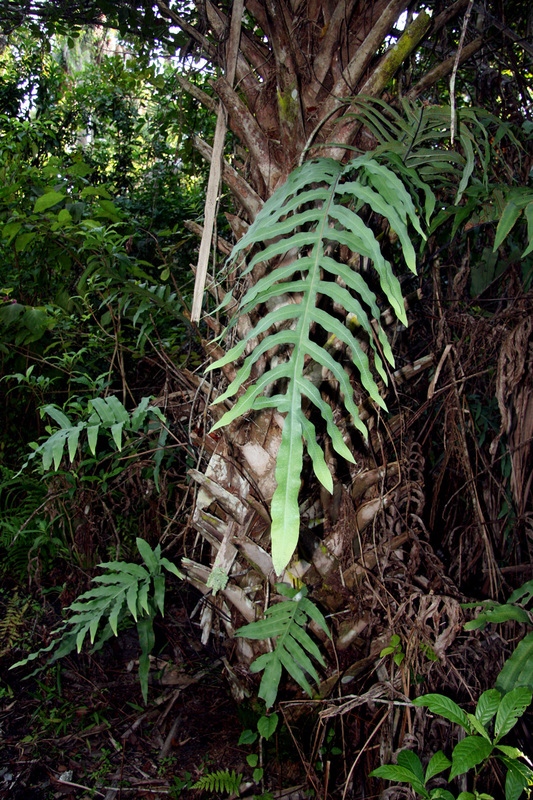 Its deeply pinnatifid leaf blades can grown to be from 1 to 3 feet long. 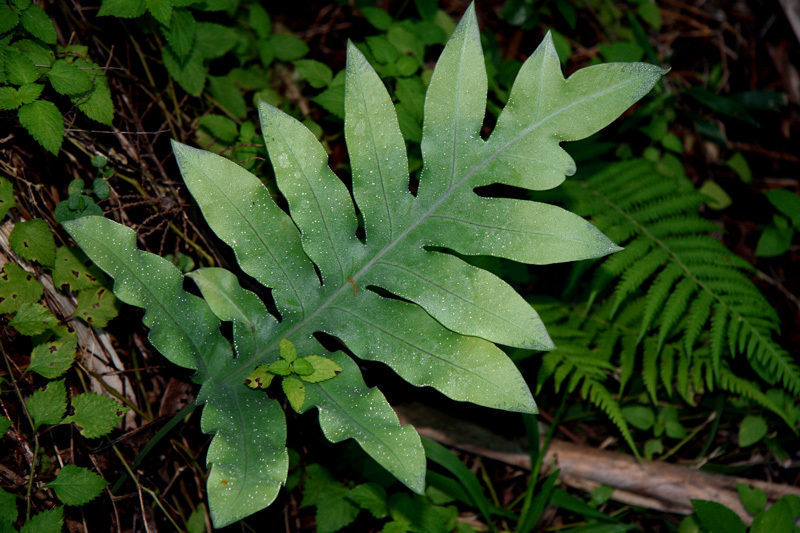 Phlebodium aureum goes by lots of common names, including hare-foot fern, rabbit foot fern, serpent fern, and golden polypody fern. 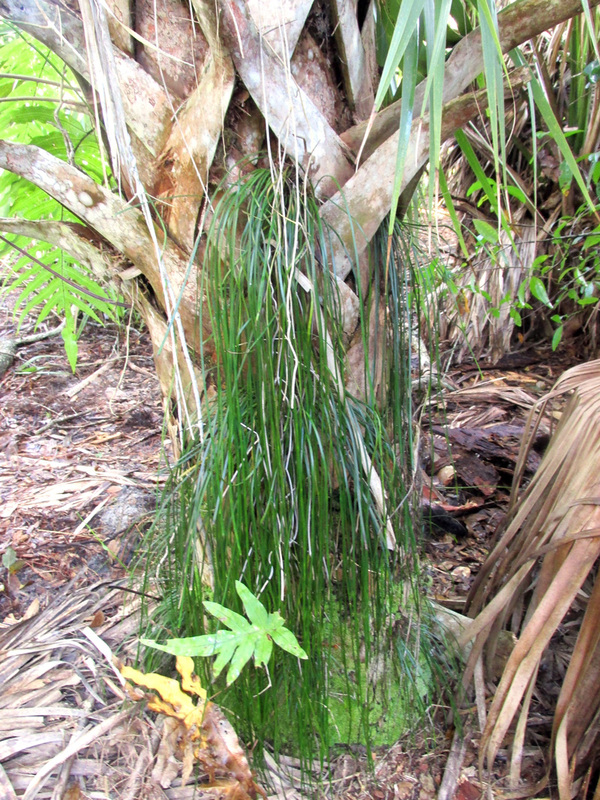 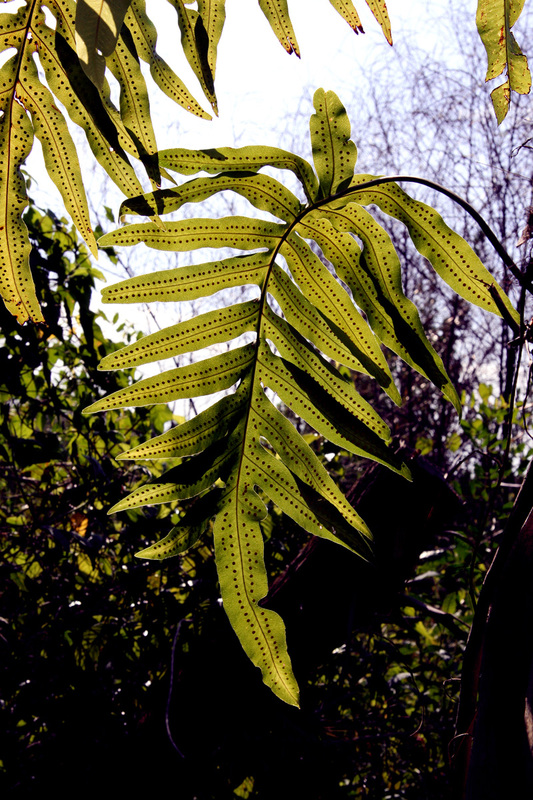 It is far more common than shoestring fern, the ‘other’ fern that grows on cabbage palms.